Imagine a world where people sit back and read e-mails or eat breakfast in the driver's seat during the morning commute. A world where accidents are exceptionally rare, where traffic jams are equally infrequent and where the daily commute is enjoyable. This idealized world with safe, hyper-efficient driverless cars might sound fantastic - at least to everyone besides insurance companies. But most people view it as a pie in the sky dream, unlikely to be realized in this lifetime. That view is probably wrong. "The autonomous car isn't a pipe dream - it's real technology that's being refined and improved on a daily basis," according to Jason Hope. "But there are major, non-technological obstacles ahead. Legal questions about liability have to answered, infrastructure has to be built, and the political will has to exist to make it a reality." Will those things occur? Some observers are confident that's the case. 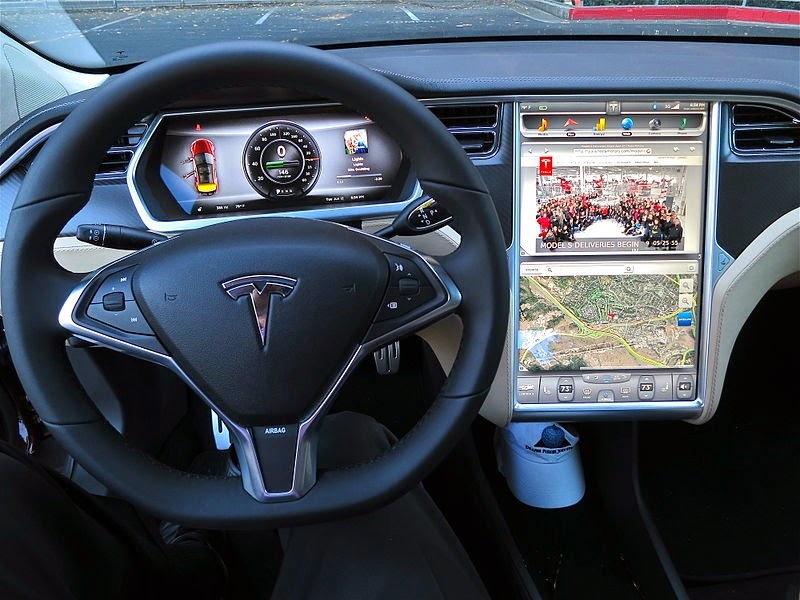 According to a study recently released by automobile industry consultant IHS Automotive, driverless cars will comprise nine percent of worldwide auto sales by 2035. That same study predicted the cars would be commercially available by 2025. Studies undertaken to examine the issue have listed a wide range of potential benefits offered by the technology. Driverless cars may dramatically reduce collisions, increase efficiency, allow the elderly and disabled greater mobility, make commute time far more productive and eliminate intoxicated driving. The technology could also confer more minor benefits, such as eliminating the need for road signs, improving traffic flow and reducing the need for parking space. The picture isn't entirely rosy, however. Skeptics have pointed to a variety of possible obstacles to this autonomous car utopia. Along with financial, political and infrastructure questions, the technology itself has a long way to go. Questions have been raised about the potential for driverless cars to be hacked. Software failures -- something that is a mere annoyance at home but would be far graver when traveling at 70 miles per hour -- are another concern. Along with technological hiccups, it's hard to understate the radical change driverless cars would have on industries that depend on the current system. Millions of jobs, everything from taxi drivers to long haul truckers, could be lost. The insurance industry could be devastated. Questions of liability could be extremely thorny. Finally, it's hard to imagine that such as ingrained habit as driving could be easily cast aside by everyone. Significant numbers of people would likely resist the technology, either out of mistrust, safety concerns, questions about privacy or a simple dislike of losing control over personal movements. Price, too, could be obstacle. Driverless cars will almost certainly be more expensive, making the technology out of reach for millions of people, particularly in developing nations. While many of these objections are undoubtedly valid, backers of the autonomous car would dismiss many of them. The World Health Organization estimates that 1.2 million people die in car accidents on a yearly basis. That's an absolutely staggering number. If driverless technology can drastically reduce that death toll, many of the arguments against the technology will seem trivial in comparison. Skeptics also often fail to take into account the inevitable technological progress that will occur over the next few decades in parallel to driverless technology. It may be hard to visualize drivers surrendering their sense of control to machines, or trusting machines to safely transport their families. But we grow more and more connected with our phones, tablets and other networked devices with every passing year. The psychology of the typical driver in 2035 will likely be far different that the driver of 2014. The comfort level with machines and automation is likely to be far higher, making the idea of ceding control mush less intimidating. Any disruptive social change of this magnitude would require hurdles to be cleared, but the lure of revolutionary technology will be too great to resist. In short, if this is where technology is heading, it's taking us with it whether we want to go or not. About the author: Melissa William is a philanthropy and business writer. Melissa began her career as a small business owner in Scottsdale, Arizona. She has taken that knowledge and experience and brought that to her unique writing capabilities. She really enjoys new business related issues that are tied directly to philanthropy.